Section Menu...Provider Opportunities • Contact Us • Why Aspirus? Once we receive your application we will send you an e-mail confirming receipt. Both recruitment staff and the group will review your CV to see if your qualifications match the position. We may contact you for further information if there are any questions. How will I be contacted if I am considered? We will try to reach you via phone or e-mail to schedule a phone interview with one of our providers. Please let us know if you have a preference as to how we contact you. If I am contacted for an on-site interview, what can I expect? With your assistance, we will make the travel arrangements for your visit. Although it depends on the position and community you are visiting, we typically need about a day and a half to visit the clinic, hospital and community. We will schedule your time here and send you a detailed itinerary in advance of your visit. We strive to make your visit stress-free and enjoyable. Please send us your CV anyway; there may be an opportunity that has not been formally announced yet. How many hospitals are in your system? How many physicians are on staff at Aspirus? 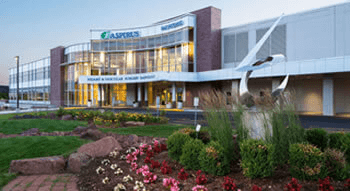 Aspirus Clinics have more than 175 providers and Aspirus Wausau Hospital – the main referral center for the Aspirus system – has more than 350 physicians in 35 specialties. Additionally, the Aspirus Network is comprised of more than 400 physicians in 48 different specialties. Please see the Opportunities section on the Web site, as we update this section daily. How long does it take to get a Wisconsin or Michigan license and how do I obtain one? Wisconsin: Please visit Wisconsin’s Department of Regulation and Licensing Web site. You are able to download and monitor the application status online. The entire licensing process can take 6-12 weeks, so we encourage all providers to apply as soon as they feel they may be practicing in Wisconsin. Michigan: Please visit . Keep in mind you will need to apply for a pharmacy license also as the state of Michigan requires a separate license in order to prescribe narcotics. The state of Michigan also requires that you obtain a fingerprint that must be submitted with your application. Designated sites are listed on the state’s Web site. The licensing process can take an average of 8 weeks to obtain. What is the process of receiving privileges at Aspirus Wausau Hospital? Once you have signed a contract you will receive a pre-application. If it is determined that you are qualified to receive an application based on the answers from the pre-application, you will receive an application from Northcentral Credentialing Services. It is important that the application be returned fully completed as to not delay your approval. Providers will not be allowed to begin employment until they are fully credentialed. The length of this process varies, but can take up to 90 days. For Aspirus Ironwood, a credentialing packet from the UPHP (Upper Peninsula Health Plan) will be mailed to you directly. The average length of the credentialing process will take 60 days. What do I need for references? Please supply us with three (3) clinical reference names and contact information. These must be previous or current partners or other providers that had a close working relationship. We also request two (2) names and contact information for administrative references. These must be a previous or current office manager, administrator, residency coordinator or current/previous Medical Assistant or Registered Nurse that had a close working relationship. We do require provider-to-provider references completed prior to employment. In addition, we require a signed authorization form allowing us to check your references, past employers, and the National Practitioner Data Bank.